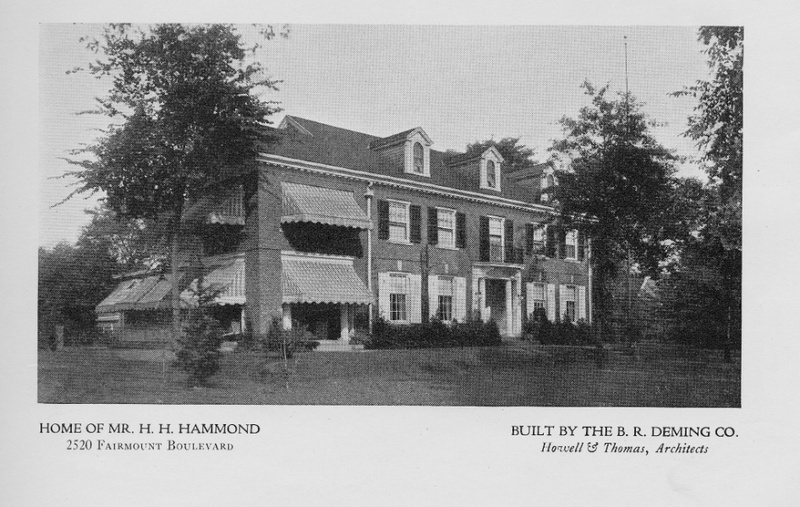 In ninety years, three prominent Cleveland families have called 2540 Fairmount Boulevard home. 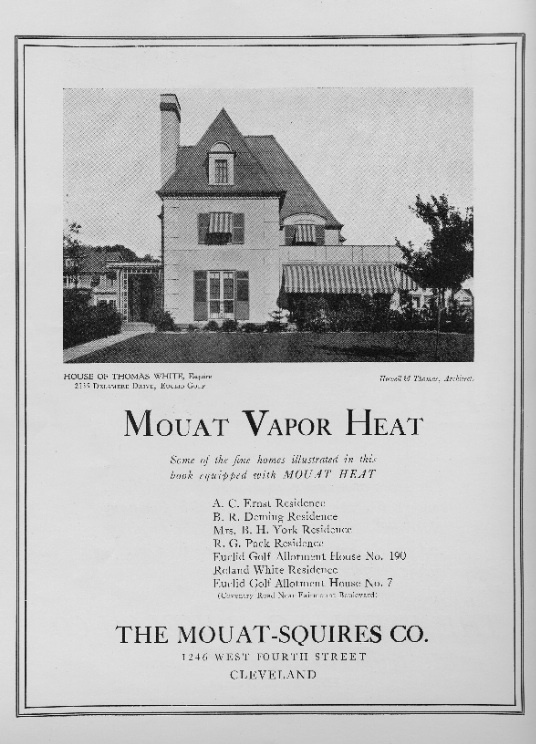 The story of this house mirrors that of Euclid Golf, an early planned suburban development that benefited from the eastward spread of Cleveland's wealthy off of Euclid Avenue in the late 19th and early 20th centuries and continued to serve as a favored address for professionals and industrialists. The first owner of 2540 Fairmount was Alwin C. Ernst, founder of the public accounting firm Ernst & Ernst, the forerunner of Ernst & Young. 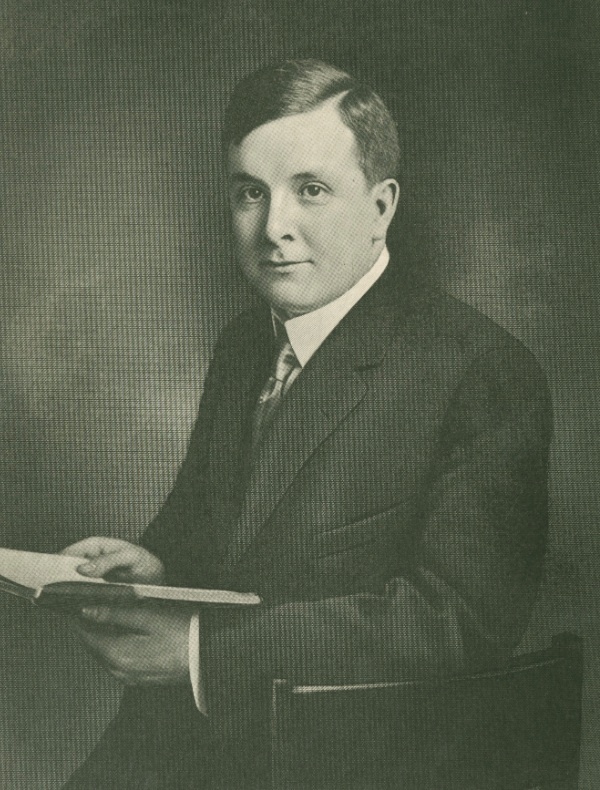 Ernst is credited with pioneering the idea that accounting information could be used to make business decisions and with inventing management consulting. Born in Cleveland in 1881, he attended West High School and a business college, and then worked as a bookkeeper for the Audit Company. 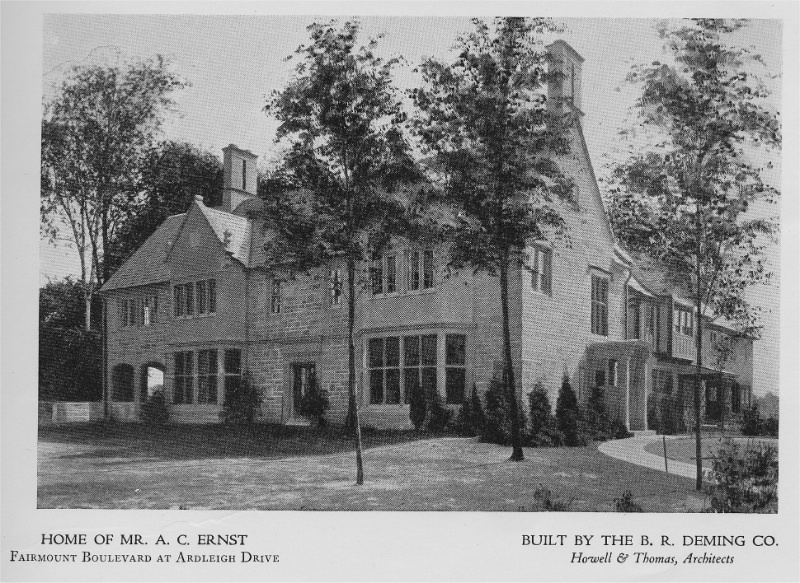 In 1903, he founded Ernst & Ernst with his older brother Theodore, who left the company three years later. Alwin Ernst went on to build the business to more than 50 offices in the United States and two in Canada. When Ernst died suddenly after collapsing in the Union Club on May 13, 1948, Cleveland Mayor Thomas A. Burke said, "No matter what occasion in Cleveland called for a civic group to help out, you could count on Mr. Ernst to be in the group." The second owners of 2540 Fairmount were John and Susanna Carlin. John Carlin was a lawyer who had grown up on Millionaires' Row. His father, Anthony, had been a pioneer in the steel rivet business and was one of the last millionaires to build on Euclid Avenue. Susanna came from humble circumstances. Her mother was widowed and raised ten children on her own. They met at the Guardian Building. He was working as a lawyer at the firm Henderson, Quail, Barkley and Schneider. She was one of the building's elevator operators. Their fairytale wedding in St. John's Cathedral in downtown Cleveland was one of the most significant social events of 1941. The Carlin's moved from 3233 Euclid to their Euclid Golf home in 1950. When John Carlin died in December 1973, 2540 Fairmount was valued at $95,000 and his estate was valued in excess of $7 million. Patrick Parker of Parker Hannifin Corporation, and his wife Madeline, were the third owners. They purchased the house in 1985 for $330,000. Ernst House: Alwin C. Ernst house, 2540 Fairmount Blvd., as built, looks very different from the proposed speculative house that Deming planned for the homesite. 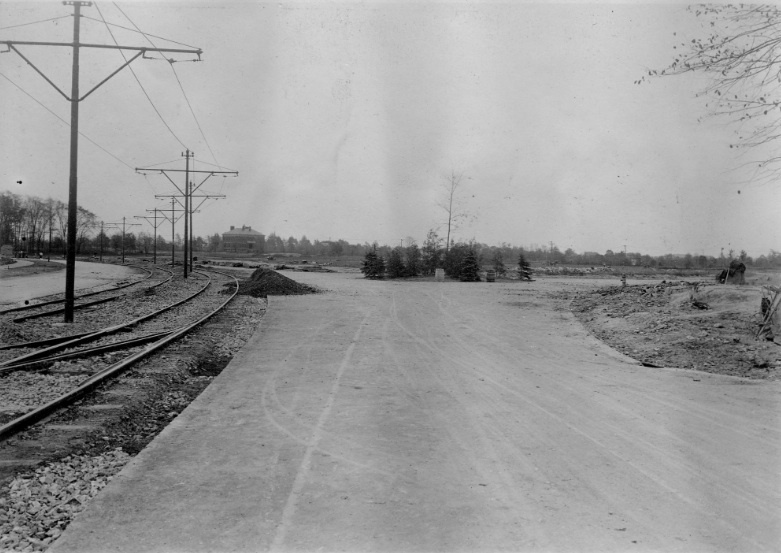 Ardleigh Circle at Fairmount Blvd., 1914: Although the landscaping has changed over the years, Ardleigh Circle today looks much as it did when it was first laid out in 1914. 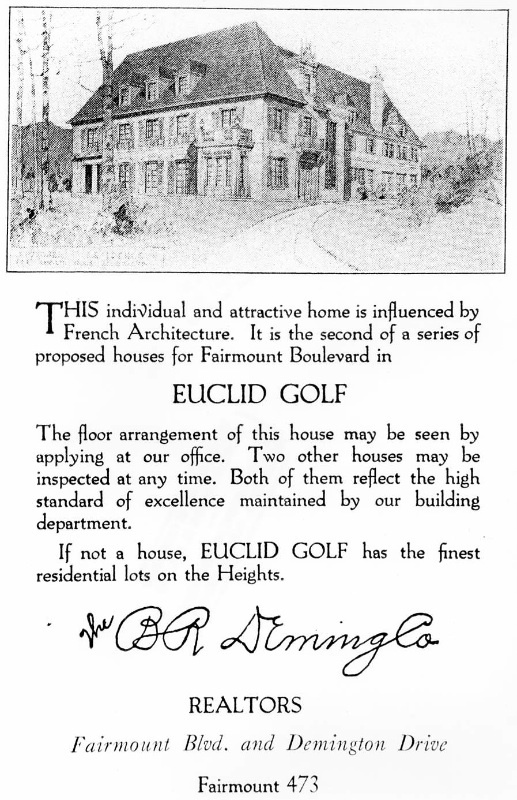 Like Shaker Heights, Euclid Golf was planned in the Garden City model, a design movement that started in England. The Garden City rejected the rectilinear street pattern of the city for roads that followed the natural contour of the land and incorporated trees and landscaping to evoke the beauty of the garden. Streets were given picturesque English names. It followed other nationally prominent developments like Llewellyn Park in East Orange, New Jersey, Riverside outside Chicago, and Baltimore's Roland Park. Carlin House, 3233 Euclid Avenue, 1974: When the Carlins moved to Fairmount Boulevard in 1950, John Carlin was chairman of the board of Anthony Carlin Co., a real estate holding and property management company that his father had founded. 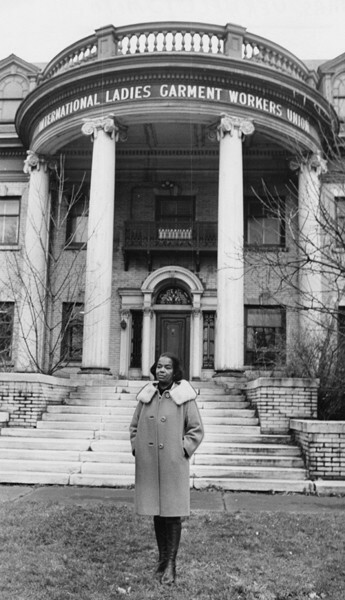 The Carlins left the family home at 3233 Euclid Avenue, which became the headquarters of the International Ladies Garment Union, to move up the hill to what had become known as the "Euclid Avenue of the Heights," the Euclid Golf Allotment. Image courtesy of Cleveland State University. Michael Schwartz Library. Special Collections. Dennis Coughlin remembers playing on the grounds of the Ernst House as a child. Deanna Bremer Fisher, “Alwin C. Ernst House,” Cleveland Historical, accessed April 19, 2019, https://clevelandhistorical.org/items/show/523. Published on Jul 12, 2012. Last updated on Apr 18, 2017.